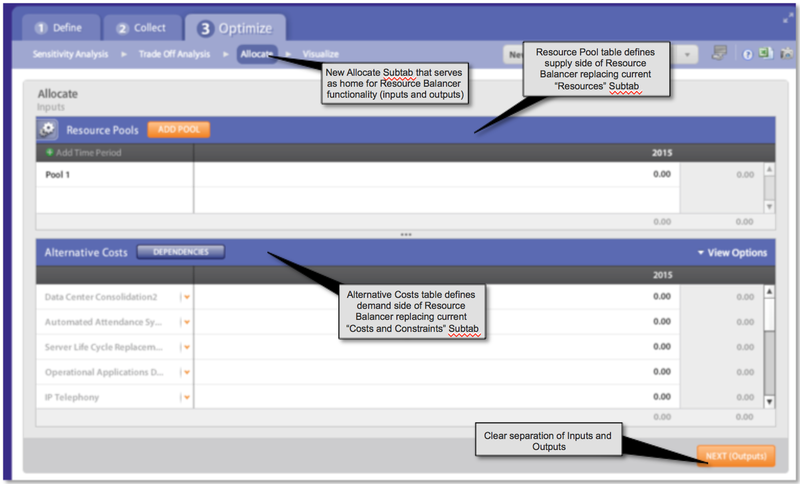 The Allocate, Input screen serves to define scenario baselines for resource supply and demand as well as defining Optimization constraints. Alternative Costs are the demand of resources that are requested for each of the Alternatives by time period. With only one pool, the Alternative Cost request represents the resource “cost” to be drawn against that single Resource supply. 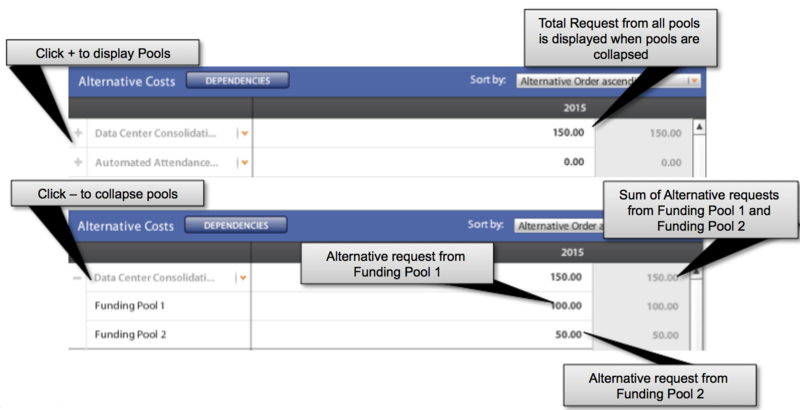 With multiple pools defined, an Alternative Cost request can be entered requesting resource to be drawn against a specific Resource supply. Pool level alternative cost data represents the actual request for each pool with total request automatically summed for the full Alternative cost. Before moving to the Output screen, you must Save, Save As a new scenario, or Revert your changes. How Do I Know If Decision Lens Will Work For Us?